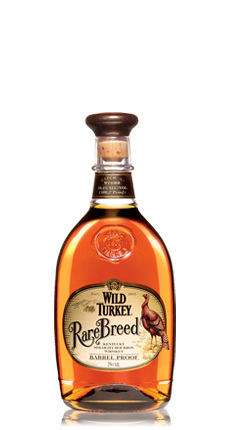 Today, I am reviewing a barrel strength monster from Wild Turkey, the Rare Breed. It is a small-batch bourbon, made from a combination of 6, 8, and 12-year old stocks. It is then bottled at its barrel strength, which will vary slightly from batch to batch. The bottle I am reviewing is from batch WT03RB (54.1% abv, 108.2 proof). Unlike some of the giants from Buffalo Trace (George T. Stagg, E.H. Taylor), Wild Turkey Rare Breed’s strength out of the barrel is pretty mellow. This is because Wild Turkey’s Jimmy Russell has always believed that the less water you add to whiskey, the better it tastes. So, unlike many bourbons that enter the barrels close to the legal limit of 125 proof, Wild Turkey whiskey goes into the barrel around 95 or 100 proof. So, when the whiskey comes out of the barrel, it doesn’t require much water to be added to get the whiskey to 101 or 81 proof (the two most common bottling proofs for Wild Turkey). And, in the case of this batch of Rare Breed, the barrel strength is only 108.2 proof. In the glass, Rare Breed is a rich, dark amber. On the nose, it is dense and musty. It smells like a much older bourbon than it actually is. There are notes of fresh leather, tobacco, some rye, burnt pine needles, some cinnamon, and a bit of nutmeg. The palate is where this bourbon shines best; it enters sweet with vanilla and maple syrup, moving to wet oak before it rumbles across the back of the tongue. The finish is long and robust, moving from a menthol/tobacco note to a warming, sweet vanilla, back and forth. Even at its full 108.2 proof, this whiskey is very drinkable. Water does this one no good; it brings those leathery notes to the fore in full force. Overall, this is a very good rye-forward bourbon. I am a big fan of Wild Turkey’s lineup, especially because they are damn good whiskeys at damn good prices. 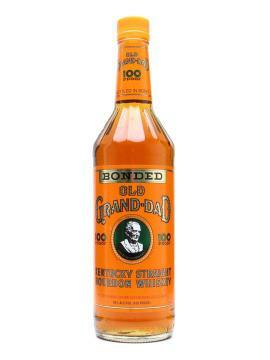 This one fits nicely into the lineup, and presents different notes than other whiskeys in Wild Turkey’s range. Occasionally, I taste some tannin off flavors in this one, and it doesn’t quite have the waves of flavor of Russell’s Reserve 10 year or Wild Turkey 101, but it’s close. My Grade: B-. Price: $35-40/750ml. This compares well to whiskeys at its price range as it is deep and complex, continuing the tradition of Wild Turkey value bourbons.